Suzanne hair clip is a green and black glass beaded hair clip from Gypsy Renaissance’s Hair Clips collection. Embellished with a real peacock feather and finished with rhinestones. 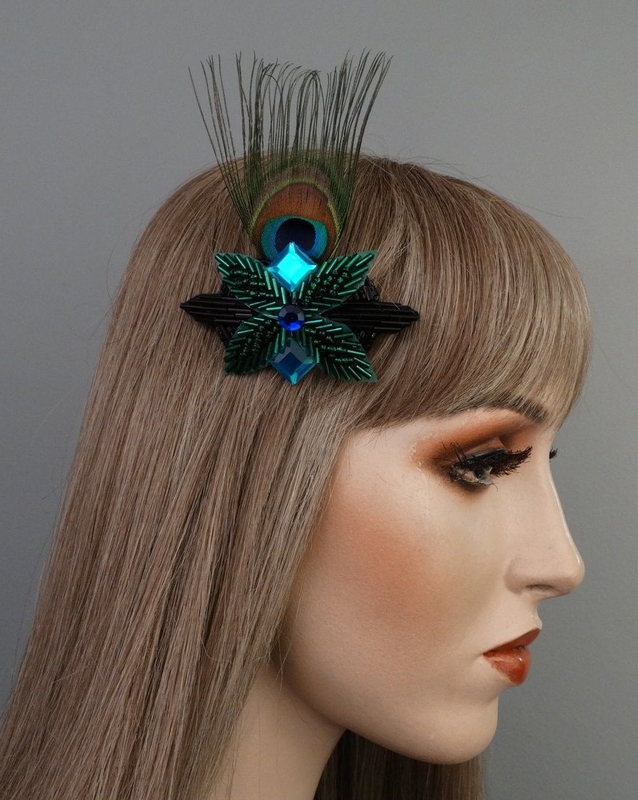 Suzanne hair clip is fashioned with green and black glass beaded appliqués and a peacock eye. Finished with aquamarine and sapphire rhinestones.